Garo Hills of Meghalaya woke up to rude shock as a low intensity blast using improvised explosive device (IED) took place in the East Garo Hills district headquarters of Williamnagar in Meghalaya late Monday night. This was informed by police sources on Tuesday. However, there was no casualty or report of anyone getting injured in the Williamnagar low intensity blast that took place at around 10:35 pm on Monday night. 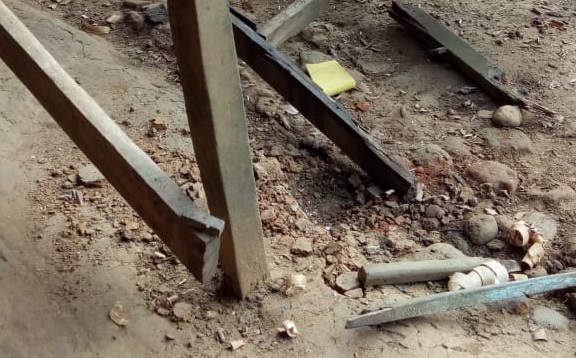 The explosion took place in front of a shack behind the cooperative building, about 50 metres from the office of the Superintendent of Police (SP) in charge of the district where some carpenters were sleeping. The shack which was made of corrugated galvanized iron (CGI) sheets was also not damaged apart from a small dent due to the explosion. The motive behind this is yet to be established and search parties and patrolling has been intensified. Notably, this was the third such explosion in the area. Meanwhile police have begun investigation of the whole incident.